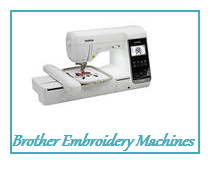 Leabu Sewing Center is proud to offer machines from Brother and Babylock. Due to restrictions by the manufacturers, we are not allowed to post prices on machines. Please call for pricing and financing is available, so you can get started with your new machine today. many benefits from purchasing a machine from Leabu's. Want to upgrade your current machine? We take trade-ins and we often have used machines for sale.